Home Inspector Since November 1998 with over 5000 Inspections completed. Member in good standing of the American Society of Home Inspectors (ASHI). 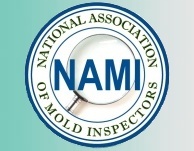 Member in good standing of the National Association of Certified Home Inspectors (NACHI). Bachelor of Science Business Administration (Marketing and Accounting) from The American University, Washington, D.C.
Certified Member of the National Association of Mold Inspectors. Certified by NEHA National Radon Proficiency Program for placement and retrieval of radon measurement devices. Environmental Solutions Association CMI Designation. Certified by the Maryland Department of the Environment for Collection of Drinking Water Samples. Certified by the Maryland Department of the Environment for Onsite (Septic) System Inspections. Certified with the National Onsite Wastewater Recycling Association for Inspections of Onsite Systems. Certified by the Maryland Department of the Environment for Lead Visual Inspector. Certified Infrared Thermographer ITC Level III Designation. Over 35 years experience in the building industry.